Create a Stunning, Secure Entrance for Your Maidstone Home. Choosing aluminium bi-fold doors from SecureStyle will enable you to create a stunning and secure entrance to your Maidstone garden. These spectacular sliding doors offer luxurious aesthetics combined with outstanding performance. Our aluminium bi-fold doors offer superior quality for your Maidstone home, while enhancing your property through creating a seamless link between your property and garden. You will benefit from the many features that are integral to our exceptional aluminium sliding doors, and enjoy a wonderful experience created by the vast wall of glass. Our guide is here to help you find out more about the extensive features and benefits of aluminium bi-fold doors and to see how they could be the perfect choice for your Maidstone home improvements. Read on to find out more. SecureStyle work with manufacturers ALUK to provide aluminium bi-fold doors in Maidstone of the very highest quality. The ALUK cutting edge design uses the most innovative developments in double glazing to create sliding doors that offer the very best performance. Our double glazed doors are designed to be easy to operate, enabling you to access your garden and create a fantastic, vast living space with just a gentle push. The slimline aluminium profile ensures maximum views and excellent natural light, while providing a light and easy to glide opening. You will benefit from the smooth sliding system that is designed to offer long term service, ensuring that your easy glide system continues to operate at the highest standards year after year. All this is combined with stunning style. The concertina folding motion means that when opened, the doors take up minimal space, maximising the opening. Our aluminium bi-fold doors are available in a range of configurations and a number of panel options, ensuring that they are the perfect fit for whatever space you have in your Maidstone home. No one wants the exact same look as anyone else, and so with our aluminium bi-fold doors you have extensive options to customise them to suit you. Not only are there the configuration options mentioned above, but our aluminium sliding doors are available in a vast range of colours and finishes. Choose a bright, bold shade to create a feature of your new double glazed door, or opt for a more muted, gentle colour to blend in with your Maidstone property. We even offer dual RAL colours, so that you can have an outer frame that will suit your home and an inner colour that complements your interior décor. Aluminium bi-fold doors are incredibly secure, and are the superior sliding door option when it comes to Maidstone home improvements. This is because aluminium is an inherently strong material, it’s so robust that it is almost impossible to break. We improve the natural security of the aluminium frame with shoot bolts between each intermediate panel and the very latest state of the art multipoint locking system. The high quality locks that we fit as standard consist of 6 locking points – two heavy duty locks, two locking cams and a dead bolt. The locking cams reinforce the door’s overall strength by pulling the sashes into the frame for increased weather performance. As with any opening to your home, your new aluminium bi-fold doors need to provide excellent thermal performance. Our range of sliding doors are manufactured by ALUK using the most innovative designs to create superb energy efficiency. The slim sightlines of the design maximise the glass area, which is not only beneficial for your views, but it also enables these double glazed doors to offer fantastic thermal efficiency. The glass is designed to trap air between the panes, creating a thermal barrier and blocking cold air out. The outstanding design and manufacture also ensures that draughts are eliminated. 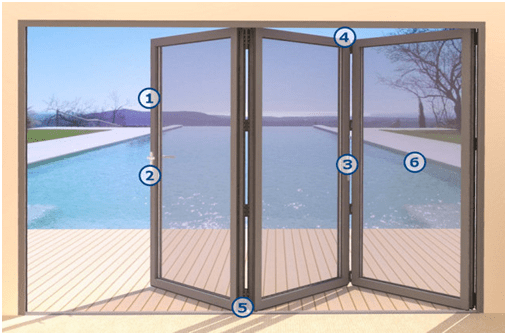 Aluminium bi-fold doors offer superb environmentally friendly performance. Not only do they help with your carbon footprint through their energy efficiency, but the structure is also incredibly recyclable. Aluminium is an amazing material, no matter how many times it is recycled and repurposed, it never loses its strength or beautiful appearance. This makes aluminium bi-fold doors one of the most eco-friendly options available in Maidstone. If you would like more information on our wonderful aluminium bi-fold doors in Maidstone, please do get in touch. We have a great team who can give you expert advice and guidance on these increasingly popular home improvements. 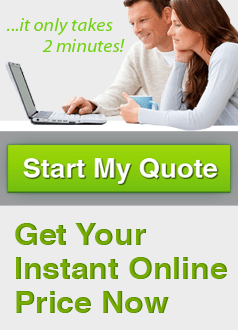 We also provide instant online quotes, so that you can see just how cost effective aluminium bi-fold doors are. Our superb sliding door prices are highly competitive throughout Maidstone, enabling many homeowners to achieve this luxury home improvement.